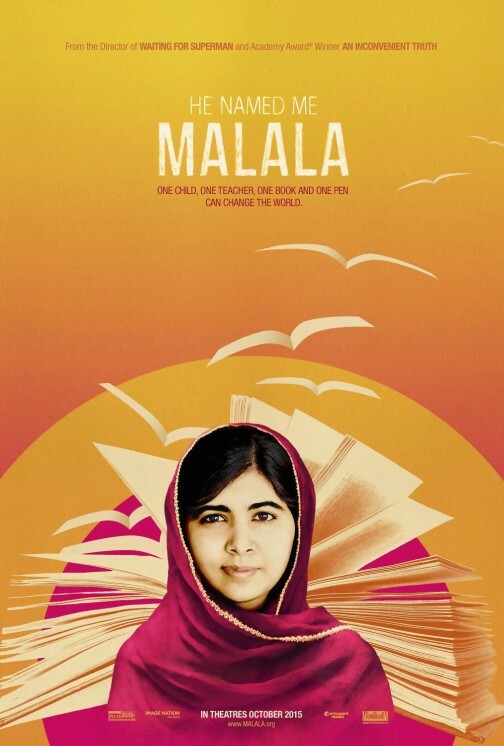 The Reel Place is excited to offer you passes to the buzzing new film He Named Me Malala before it opens. Click here to obtain your passes to the special advance screening being held on Monday, October 5 at 7PM in Salt Lake City. Please note that passes to do not guarantee admission and need to be exchanged at the theater box office for actual tickets, so please arrive extra early to do so. Good luck and we’ll see you there! He Named Me Malala is an intimate portrait of Malala Yousafzai, who was wounded when Taliban gunmen opened fire on her and her friends’ school bus in Pakistan’s Swat Valley. The then 15-year-old teenager, who had been targeted for speaking out on behalf of girls’ education in her region of Swat Valley in Pakistan, was shot in the head, sparking international media outrage. An educational activist in Pakistan, Yousafzai has since emerged as a leading campaigner for the rights of children worldwide and in December 2014, became the youngest-ever Nobel Peace Prize Laureate.